A board game for 2 or 3 players by Cameron Browne. Margo is similar to Go but played with balls that stack. Pinned balls survive capture to remain active in the game. There are 2 editions: Ninja and Samurai. There are 5 board sizes available (5x5, 6x6, 7x7, 8x8, 9x9). The 6x6 board below is the basic size. 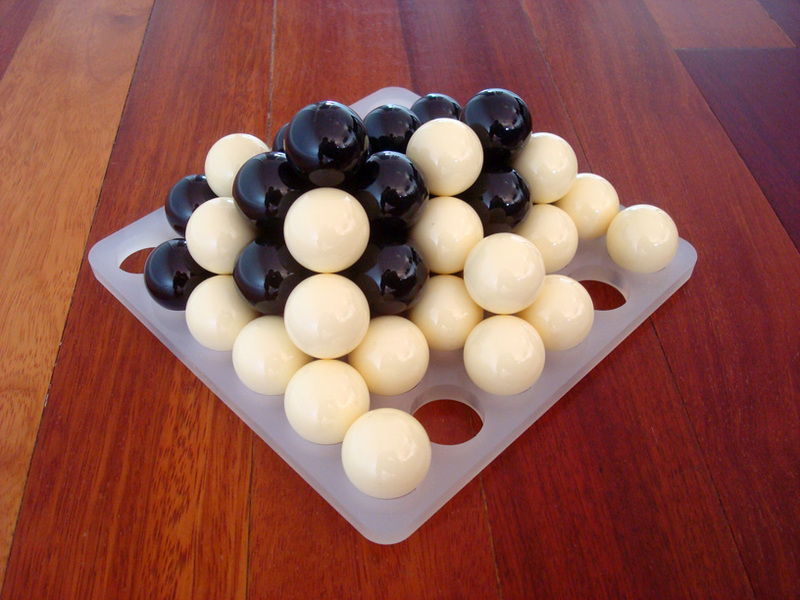 You can also purchase other board sizes and additional components here (such as more balls for larger boards, red balls for a 3rd player, bowls or a large briefcase). Margo Samurai Basic (2 players) : Big, solid, strong. 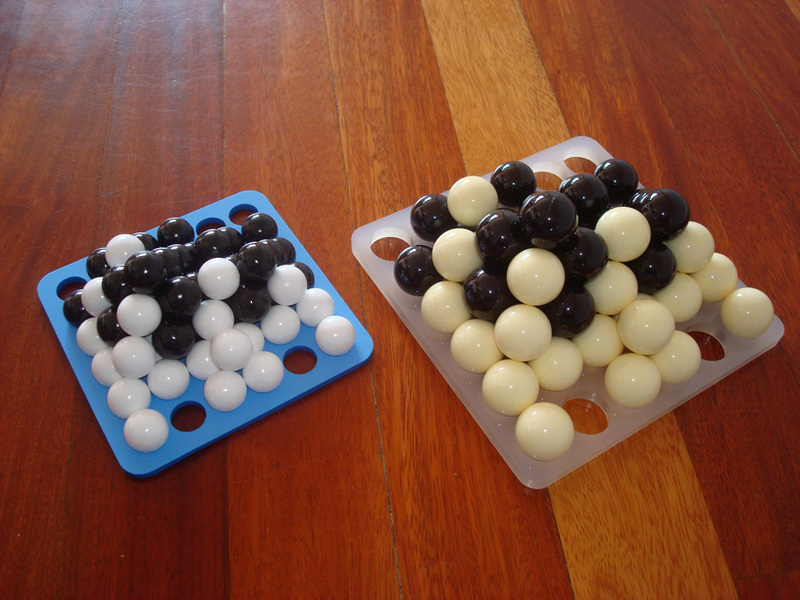 It includes a big white bag, a laser-cut 8mm thick 'ice' acrylic board and 72 phenolic resin balls (25mm diameter and same material as snooker balls) in 2 colours (36 white, 36 black). You can see the size comparison between both editions below. The Margo set is the big brother of the Shibumi set.